If WHOLE 1.0 can be described as the time we would speak of being whole but only through the accumulation of those things which could make us feel more significant, secure and accepted. Temporary stuff like the right job, the right partner, the right title, the right house filled with all the right material items or that people just like us. The challenge with wholeness is that when life takes a bite out of us or any of these are lost, where will our sense of wholeness come from then. The only thing that truly satisfies us and makes us WHOLE is the acknowledgement that none of the above do and only God can. If I’m honest, wholeness to me can still be about what I accomplish or achieve. It can be centred around how people view me and whether I am admired for who I am and what I do. It can be about filling life with the right kind of things. Yet the Apostle Paul has a different measure. And this challenges me. I’m calling it WHOLE 3.0. 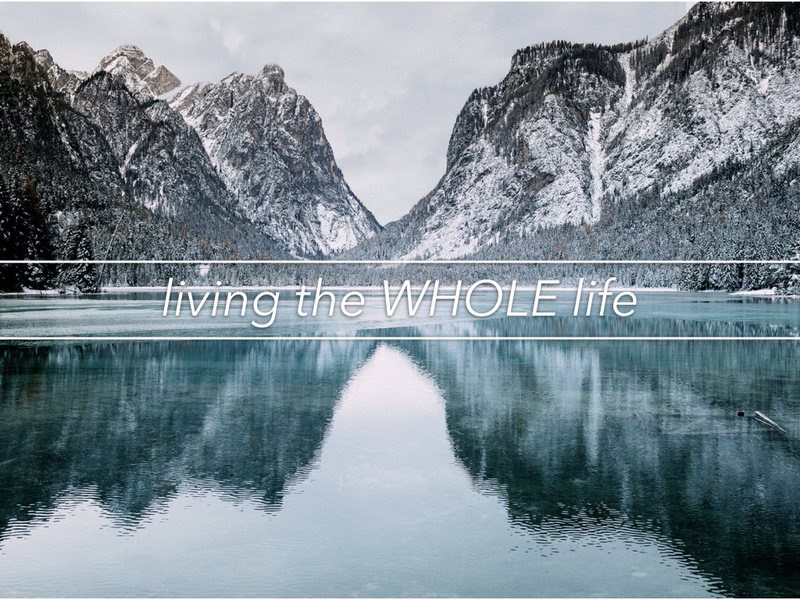 His sense of wholeness came from a place where the only measure for a WHOLE life was Jesus. The ability to see he would be WHOLE in life and WHOLE in death. It was not about accomplishment unless it was in respect of what he got to do for Jesus and to extend the kingdom of God. It was not about recognition except to do everything always with the intention to bring glory to God. It was not about how people saw him or about his reputation but instead was that more may come to accept Jesus as he kept on sharing the good news. Where the desired fruit from my labour may, at times, be more earthly, Paul was always focused on advancing the kingdom for his precious Saviour, Jesus. His transformed life and sense of WHOLE impacted every aspect of the life he lived. His goals were gospel focused. His time was utilised on purpose. His lived a righteous life. He only wanted what he had. Jesus was more than enough. He was present for every moment. He focused on eternal values. His inner peace remained strong despite the external pressures on him every day.